This is a great time to clean out the pantry! (If I say it with enthusiasm and exclamation points, it makes it more fun, right?!) There’s no reason to store that salad dressing that expired in 1999—you’re never going to (and shouldn’t!) use it. Cleaning out the expired and unwanted food in your pantry won’t take long. You’ll be surprised when you can get all of it (or most of it) done in the time it would take to watch a 30 minute TV show. This is especially important in light of all the recent storms we have had. Take a quick walk around your property looking for any previously unseen damage. Be sure to pay attention to any potential drainage issues. If you have drainage issues, you have likely noticed them in the past few weeks. If you have standing water or mushy spots, consider installing a French drain or filling in low spots. Most importantly, make sure water does not pool near the foundation and that guttering funnels the runoff at least 5 feet away from the foundation. Also, check your gutters for damage and repair any problem areas. If your gutters are rotted out or dumping water right by the foundation, they are probably doing more harm than good. Drainage maintenance isn’t glamorous, but water damage can be epic in a truly expensive way, so best to take care of it before it becomes a big problem. With the rain comes freakishly quick growing grass, so be sure to keep your yard mowed to prevent flea and ticks infestations. Once they are in the yard, it is only a matter of time before they invade the house and they are even harder to get rid of once they are inside. The sun comes out and everyone is ready to soak in the Vitamin D, but is your backyard ready? Loose screws, nails and splinters can put a serious hurt on backyard fun. Inspect any outside play equipment (swing sets, trampolines, pools, etc.) and backyard furniture for dangers. Tighten bolts, check for rotted parts and fix any other unsafe problems before they end a day in tears. Sorry, it’s not as fun as a pub-crawl, no matter how many exclamation points I use. Many roofs have been springing leaks with our crazy rain lately. If you can do so safely and are comfortable doing so, go into the attic and check for any roof leaks. If you are not comfortable (or would rather pub-crawl), call your favorite handyman to give it a quick look. 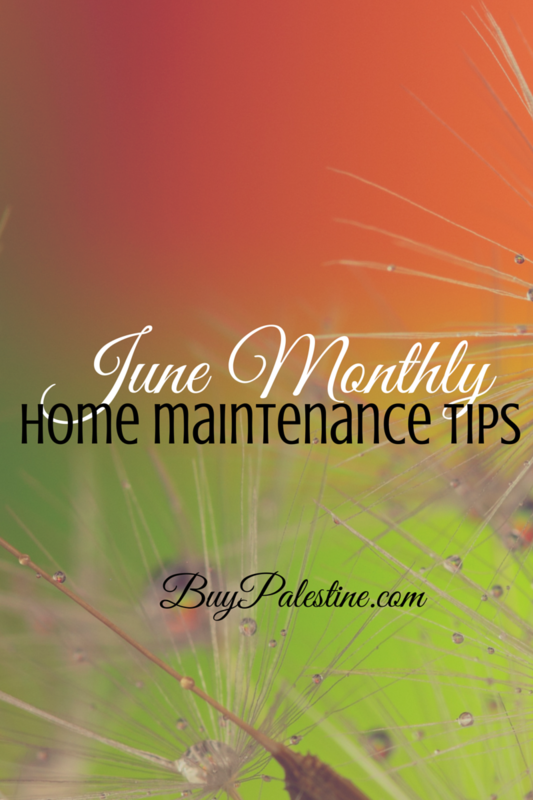 Leaks caught early are no big deal, but ongoing water damage can be very expensive later. This is an easy one! Be prepped and ready by checking the propane tank levels and cleaning the interior and exterior of the grill. There’s nothing worse than having steaks marinated and ready to grill, only to find out you’re out of propane. After the past few years, it seems strange to be complaining about rain. I guess if we weren’t complaining about the rain, we’d be complaining about how dry it is. (Proof that Mother Nature always wins, I guess!) This much rain brings in its own set of challenges for your home and you don’t want long-term damage from a short-term rain spell. You know what they say—when it rains, it pours—and when it pours, you’ve got to monitor your drainage.